This read will be a brief adventure into the current cultural world of cocktails; Specifically, a cocktail that has now existed for exactly a century this year (according to the facts we have). 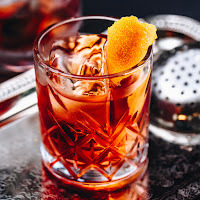 While you may have heard of this brilliantly balanced aperitif, the majority of the U.S. has refused to acknowledge it, despite it being in the top 3 most popular cocktails in the world over the last 3 years. Time and time again, I find myself craving this easily made drink, only to find that the airport bartender has not heard of it. At this point, you're surely already groaning, "So you're one of those people! A hipster looking for a unique drink and expecting that everyone has heard of it." No, I'm really not! Did you just read the above where I quoted that it is factually one of the most popular drinks in the world!? You don't need to know this drink because it is popular or because I like it, or because it's been around a long time... You need to know this drink because you have been missing out! After trying it, it will surely become a staple in your house and at your local bar like it has mine.